Walking off the train I captured the end of some random nonsense. This is what I found. 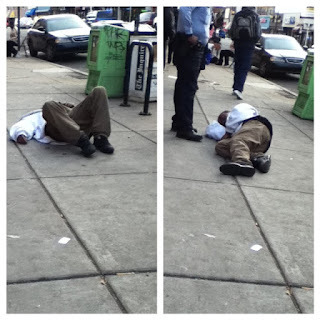 Apparently, the guy on the ground decided he was gonna talk trash to a man twice his size. Ironically after he ended up in this position, he was still talking trash. I mean, really dude, I don’t think he wants to end up like this ever again. DeAndre Jordan: Dunk of the Year?